The latest new cooking gadget Instant Pot, is conquering a growing number of kitchen counters literally all over the world. Raving reviews from very happy home cooks, enthusiastically cooking up a storm of dishes done within 30-45 minutes. It piqued my interest to join the newsfeed of a thriving FB Instant Pot® Community, where members enthusiastically swap recipes, share experience, find advice or search for answers. 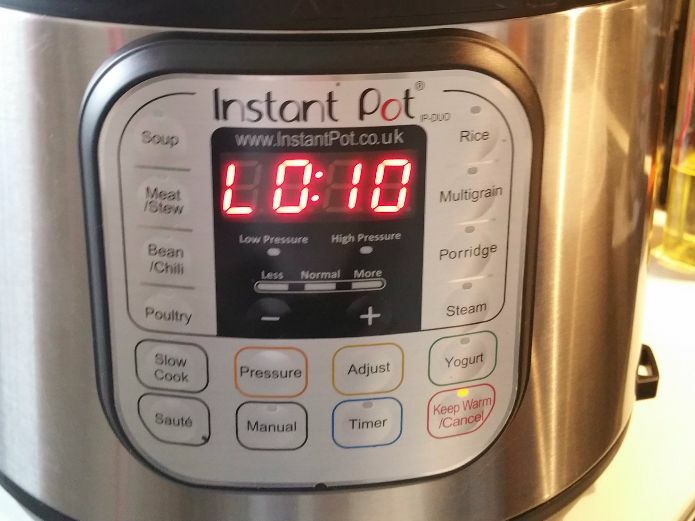 Even name their Instant Pot to rank themselves among the growing number of ‘Pothead’ owners. One pot dinners across the oceans have never been so popular as with this latest Multi-Use Programmable Pressure Cooker. All kinds of dishes nothing seems to be impossible. Lots of talking on braised and stewed dinners, nutritious broths and test cooking of soft or hard boiled eggs. “One kitchen appliance to rule them all!” Instant Pot is a seven in one kitchen gadget that does an outstanding job. As a Pressure cooker, Slow cooker, Rice Cooker/Porridge Maker, Steamer, Sauté/Browning, Yogurt Maker & Warmer. User-friendly with 14 Micro-Processor controlled programs: Soup, Meat/Stew, Bean/Chili, Poultry, Sauté, Steam, Rice, Porridge, Multigrain, Slow Cook, Keep-Warm, Yogurt, Pasteurize and Fermented Rice (Jiu Niang) typical Chinese delicacy. When Black Friday deal popped up for the Instant Pot DUO 7-1 electric pressure cooker I clicked to order. A large box within a box arrived swiftly, time for hands-on experience whether the Instant Pot DUO 7-1 truly is a real deal. Ok, right after unboxing the manual advised conducting a technical test first. Yup! it works. Showtime had presoaked pulses at hand. During the water test, I browsed through the manual booklets and found a recipe for Black Beans soup. Followed the instructions and pushed the bean/chilli program. The display blinked the automatic time of 30 minutes, I have never cooked Black beans soup this quick from start to finish apart from lentils. Moving on to the other pre-set programs, opted to prepare aromatic beef broth for classic Chinese noodle soup. Wow! Less than an hour. The next morning Chinese plain rice porridge under 30 minutes, niiice. Yesterday I prepared Italian Ragu Bolognese sauce and made a rookie mistake or more an oversight. Mine almost drowned but had a good save. Food if prepared using high-pressure cooking, does not require a high volume of liquid it is closed off in a sealed pot. Therefore less evaporation than conventional stovetop cooking. To understand high-pressure cooking you can find more information by clicking this link here. Outside the temperature is dropping and nothing can soothe the soul and tummy as homemade Chicken soup. I filled the Instant Pot DUO with the chicken carcass and beef shank bones to make a healthy Chicken broth. If you do not blanch the bones you have to brown them to bring out the flavour. The sauté function is really an advantage great to use, browning means caramelising and that makes all the difference, without changing pans. Sauteeing the spices and bones first before filling it with water and other savourings using the Soup button (high-pressure cooking program) to cook the broth. At the end of this program, the vegetables were added followed by vermicelli noodles then the manual slow cook button for Chicken Vermicelli Soup. Oh happy days, the Vermicelli soup sure warmed and filled our tummy’s with every slurp. Throughout the week on a roll, testing changed into a discovery cooking tour. Trying another pulse, cooked chickpeas with the bean function for the hummus and chickpeas salad. 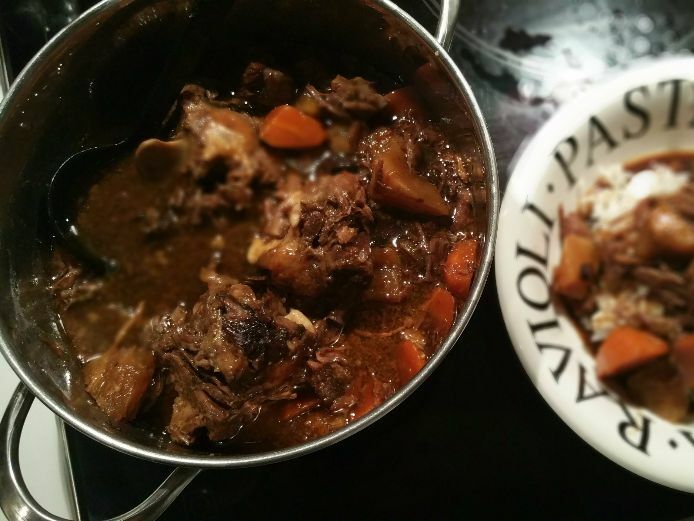 Defrosted oxtail for a Chinese style braised recipe, which normally will take hours whether prepared in a slow cooker or in a braiser pan finished in the oven. Nothing wrong with my slow-cooker (oval shaped ceramic pot), works perfect and doubles as serve ware. This utensil does what it says ‘slow’, speeding or fast is not required here. Back to my braised oxtail recipe, filled the Instant Pot late afternoon and the automatic stew program button with high-pressure cooking said 30 minutes, “thirty minutes?” yeah, right. Will see. After 30 minutes the beep sounded marking the end of the program, according to the manual wait for natural pressure release then open the lid. Shut the front door! Whaddayaknow, the meat falls off the bones 🙂 Click on the link for the recipe Chinese style braised oxtail bones. Darling husband requested Dutch “Erwtensoep” Pea soup made with smoked bacon and smoked sausage aka ‘rookworst’. Again pushed the soup program button, thirty minutes later after the beep. Wait for natural pressure release (NPR) do not attempt the quick pressure release (QPR) because you will have a bursting fountain which will make you cry if you just thought how clean your kitchen was. 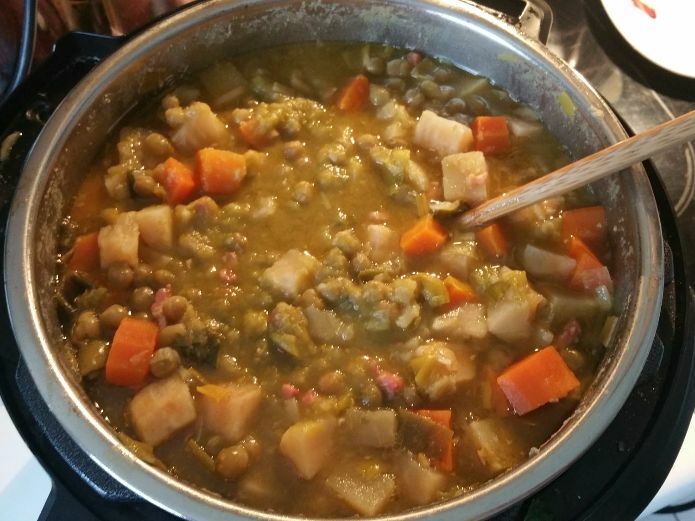 The image was taken right after the lid was removed, showing the good part of high-pressure cooking with vegetables as the main ingredients. You clearly notice that the cubes of carrots, potatoes, and celeriac (turnip-rooted celery) hold their shape while very tender and flavorous. For me also, a first to observe green peas being very plump before turned to mush. The whole pot with ingredients was so soft, that just by turning around the spatula I could mash the soup. The last step is to slice up the sausage and add into the pot, gave the soup a few good stirs and closed the lid back for 2 hours of slow cooking/keep warm. Not for long or hungry mouths will find their way to the pot. The whole pot with ingredients was so soft, that just by turning around the spatula I could mash the soup. The last step is to slice up the sausage and add into the pot, gave the soup a few good stirs and closed the lid back for 2 hours of slow cooking/keep warm. Not for long or hungry mouths will find their way to the pot. Another alluring Instant Pot feature is the yoghurt setting function to make easy and effortlessly your own homemade yoghurt. Directly in the inner port or use the rack accessory and vessels as ramekins or canning (weck) pots to make single portions. One of the reasons why yoghurt fails to set is the undisturbed right incubation temperature, it needs to have an insulated environment like a thermos bottle or container. Now I have my appetite and eye set on to try the Instant Pot yoghurt function next to making a British Christmas pudding in 50 minutes only. Before I would have said; “Have to see it before I believe it”. Now without a second thought saved the link to bring a merry, merry desert on the table next. 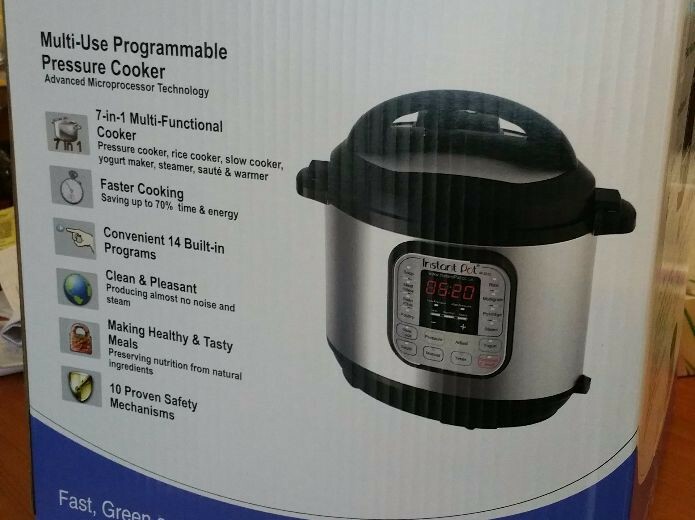 Unboxing the Instant Pot, after a week using the multi electric high-pressure cooker, I am definitely an Instant Pot DUO fan. So far an outstanding performance by demonstrating its versatility to tackle an array of multi cuisine recipes. From start to finish really cutting down using high-pressure cooking time table. The dishes show moist ingredients, retaining intense flavour without losing nutrients. With a big grin, ho! ho! my last Black Friday deal is value for money. Note: For beginners and stovetop pressure cook users, use the available Pressure Cooking Time Charts (including water ratio for grains) as a guide to prevent failures or disappointments. Possibilities are endless but not all meals are intended to be cooked with high pressure. Update: 20th June 2017 previous resources are no longer available or maintained by Miss Vicki’s website till further notice. How to- cooking 101 mistakes This resource link no longer exists Miss Vicki’s website domain expired without any information. 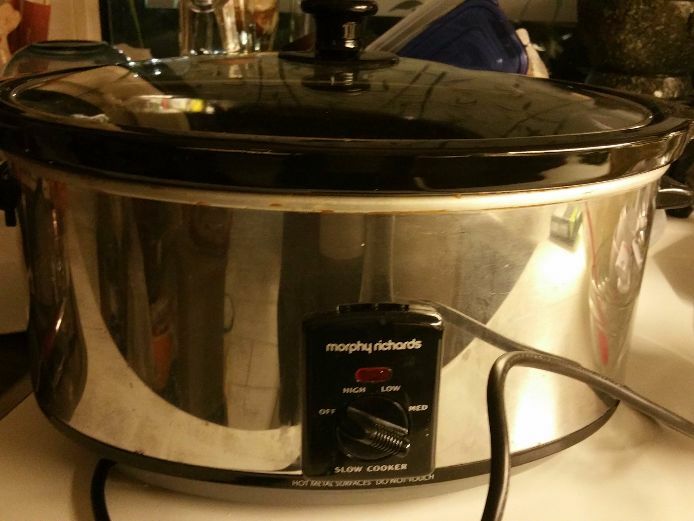 Timing – Pressure cooking time charts This resource link no longer exists Miss Vicki’s website domain expired without any information. My Instant pot cooking journey continues on, watch for another test adventure to follow up soon.